On February 27, 2015 the country will be celebrating National Strawberry Day. The day is dedicated to one of the most popular fruits in the world. 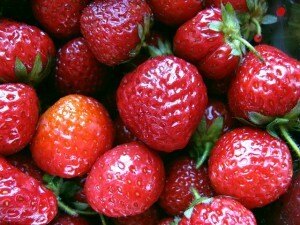 The red, delicious and delicate strawberry. Though the cold of winter is still brutally present, spring is right around the corner and the strawberry, the taste of spring, will be arriving shortly as one of the first fruits to make an appearance. 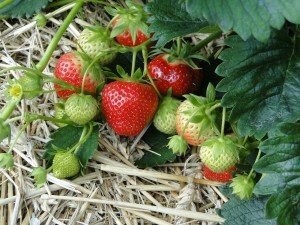 National Strawberry Day reminds us, and gives us hope, that spring is right around the corner. Don’t miss out on the celebration this year with some toast and strawberry jam, a strawberry smoothie or a big bowl of fresh strawberries and ice cream. Fresh strawberries might be in short supply but don’t forget that dried or frozen strawberries can be delicious as well. Three months ago, I met a nice girl online. Everyday we talk for an hour and throughout the day, we text each other. Although, we do not have an exclusive dating arrangement, I would like to send her a Valentine’s Day present. We haven’t met face to face yet and I don’t want to send the wrong message by spending too much. I don’t want to send her the typical floral arrangement. A colleague at work suggested that I order a fruit bouquet. Is this gift idea more appropriate for a co-worker, or is a fruit bouquet a suitable present for a budding relationship? 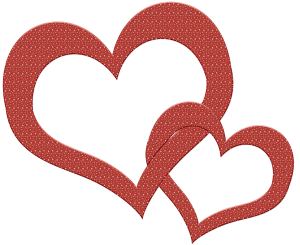 It can be difficult to find an appropriate gift for Valentine’s Day when a relationship begins. You don’t want to ignore the holiday and potentially hurt feelings, but you also don’t want to go overboard and send the wrong message coming on too strong. Fruit bouquets can be a sweet gift expression for Valentine’s Day coming with just the right level of thoughtfulness. 1) Does she like fruit? Some people have an aversion to fruit while others prefer dried fruit. Try to find out what her favorite edible fruits are without ruining the surprise. 2) Does she spend long hours at the office? If so, your best bet is to order a fruit bouquet and have it delivered to her office prior to February 14. Remember that unlike a floral arrangement, fruit bouquets generally require immediate consumption. Depending on her schedule and how much fruit you send her, she may not have the time to enjoy the fruit bouquet while its fresh. Sending a fruit gift to her office will insure she gets it promptly and that she can share it if need be. 3) How much do you plan to spend? Most companies offering edible fruit bouquets, segment arrangements according to price. (Be sure to account for any delivery charges within your budget). 4) Compare fruit bouquets with other gift items such as balloons, stuffed animals and container keepsakes to make sure you’re spending an appropriate amount. 5) Before placing your fruit bouquet order, be sure to read the terms to avoid any unforeseen Valentine’s Day gift snafus. If you include a personal handwritten note, she is sure to think the gift of fruit was very thoughtful and it will have your relationship on a good path, without her thinking you went overboard.